by Estrella, Marisol, Renaud, Fabrice G., Sudmeier-Rieux, Karen. 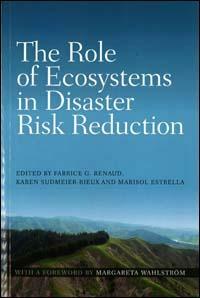 The aim of this book is to provide an overview of knowledge and practice in this multidisciplinary field of ecosystems management and disaster risk reduction. The contributors, professionals from the science and disaster management communities around the world, represent state-of-the-art knowledge, practices, and perspectives on the topic. The book will serve as a basis to encourage and further develop discussion among scientists, practitioners, policymakers, and development planners.